Lilias Folan, a guiding light and pioneer for American yoga, and author of Lilias! Yoga Gets Better with Age. Lilias Folan is the first lady of Western yoga. Through private instruction and her PBS television program, "Lilias! Yoga and You", she's inspired thousands of practitioners, as well as other instructors, with her graceful, approachable yoga routines and reliable education. Although the program went off the air in 1992, Folan maintains an energetic yoga training base at the YogahOMe studios in Cincinnati, Ohio, and travels the world to teach workshops and seminars. Over the past 30 years, Folan has also produced a variety of yoga DVDs, books, and guided audio instruction, including Yoga 101Workout: Props to Poses and Lilias! AM & PM Workouts for Seniors. Her latest multimedia compilation is Lilias! Yoga Gets Better with Age, a publication that nurtures the midlife body and spirit with the joy and satisfaction of yoga. 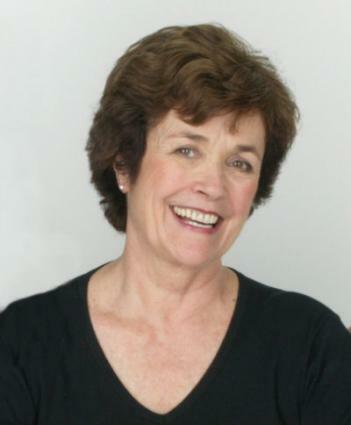 LoveToKnow Yoga is delighted to share this interview with Lilias Folan, an active yogini in her 70s, about her yoga path, how she hopes to help others with her new book and DVD, and what still surprises her. You were introduced to yoga as a young mother, suffering from back pain and sleeplessness. Were you aware of yoga before then? Yes. At the age of 13, I first saw a photograph of the great saint from India, Sri Ramana Maharshi, in the May 1949 issue of Life magazine. I had no clue as to who he was, but some transference of energy happened. Sixty years later, the path of self-inquiry as to "who am I" continues to unfold. Many credit you with being the first instructor to present yoga to the public in an easy, more accessible way. Was that the conscious inspiration for your teaching, or did it grow organically? I don't wish to sound dramatic but honestly, the path of teaching Hatha Yoga on PBS to my "unseen" class is my Dharma, (my truth). I began teaching yoga in the mid-1960s in Stamford, Connecticut at the YWCA. It's always seemed very natural to say, "If you can't do it this way, try the posture that way." I'm basically a very practical Capricorn Yogini who happens to teach yoga throughout the world. A friend of mine who is a yoga instructor says your PBS program, "Lilias! Yoga and You", motivated her right from the start! What was it like to do that program? Teaching Hatha Yoga to the red light of a TV camera is pretty dry. As teachers, we depend a lot on the energy exchange between our students in front of us. Eventually, my spiritual heart began to connect with my "unseen" class beyond the red light. I continue to receive letters from my students of all ages, sizes, and shapes. Because I could not see my students, I had to be very conscientious about clear directions into postures and gave a lot of cautions so no one was injured. Lilias! Fit, flexible, and full of life in her 70s. In your latest book and DVD compilation, Lilias! Yoga Gets Better With Age, you provide a guide that is both for seniors modifying their yoga practice as well as those interested in it for the first time. What did you feel to be the most important message to convey with these materials?The Joy is in the journey! It's not getting to destination of a perfect Downward Dog pose. It's taking the wisdom of yoga off the mat and into life, especially as many approach midlife and beyond. Ask yourself today, what's really important and juicy to me? I especially like these words attributed to William Penn: "I shall pass through this world but once. Any good therefore, that I can do, or any kindness I can show to any human being let me do it now. Let me now defer or neglect for I shall not pass this way again." Please explain your theory of "spiritual muscles" we need to build in order to access the inner layers of self, as referenced the book. Developing spiritual muscles is just a poetic metaphor. Take the practice of meditation. In the beginning sit comfortably, do some slow three-part breaths, then sit and focus on your breath; breathing you for one-minute only. Little by little, we develop the "muscles" to sit longer but also the ability to connect and focus on the observer Self that passively witnesses the breath. To "focus and watch" could be considered a spiritual muscle that strengthens with practice. In Lilias! Yoga Gets Better with Age, you also touch on an interesting aspect of yoga many are curious about: how yoga fits into your Christian roots. Knowing that many seniors might be under the impression that yoga may conflict with their beliefs, please tell us a little more about your perspective. I do hope folks will read my book for a more in-depth answer to this wonderful question. My roots are in my love of Christianity, as well as a deep respect for all living religions. Hatha Yoga is practiced in Buddhist and Christian monasteries and convents around the world. It is also a vital part of stress management programs in hospitals and wellness centers worldwide. Yoga is a vehicle for inner growth and development. It strengthens and keeps one flexible and quiets the restless mind. It can be adapted to fit everybody, no matter what size, shape, age, or physical condition. All spiritual pathways are welcome! In the "Prana-Maya-Kosha" section of the book, you provide an in-depth overview of breath. How has the study of breath changed over the years? It has become a solid part of my practice. My producer of "Lilias! Yoga and You" used to kid me and say, "Watching Lilias breathe on TV is like watching the grass grow!" Like exercising your physical body each day, I encourage you to exercise your breathing-body each day. Developing the "taste" for a breathing practice could be considered stretching another "spiritual muscle." Today, the practice is really enjoyable and I get nudged from the inside if I don't do it. You've traveled the world and guided thousands of people with your practice. What still surprises you? I love their stories. How a chance look at "Lilias!" on PBS (right before "Sesame Street") connected someone to yoga forever. Thirty years later, I meet that person face to face. The moment is electric! I'm also deeply inspired by the courage of a student wanting to restart their yoga practice and say Yes! to life. Join for online yoga classes. The author of this article received a promotional disc of "Lilias! Yoga Gets Better With Age" to complete this interview.